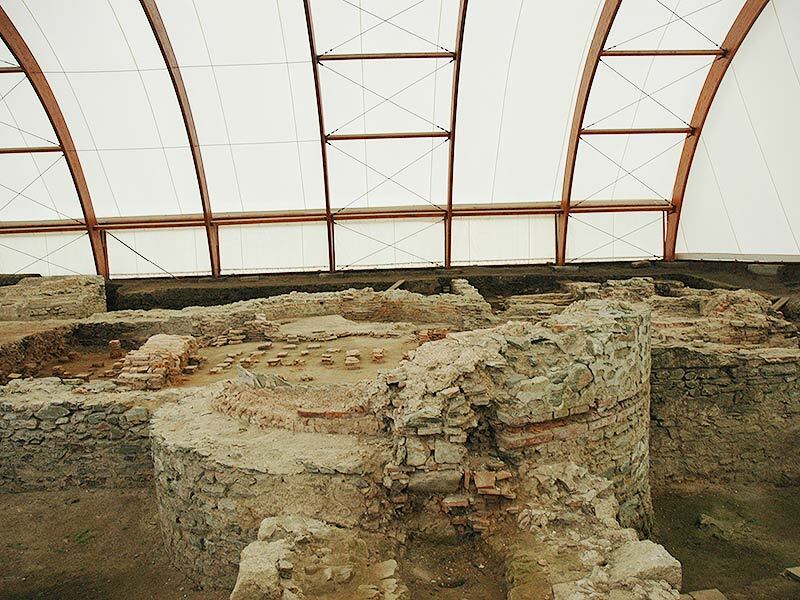 The baths (thermae) are typical Roman buildings. 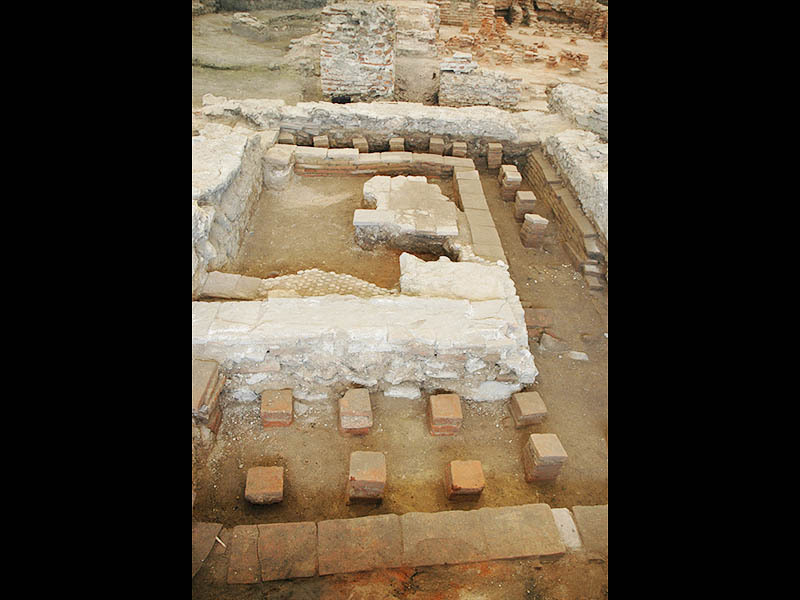 As public establishments, they appear in the time of the Empire both in Rome and in the provinces. 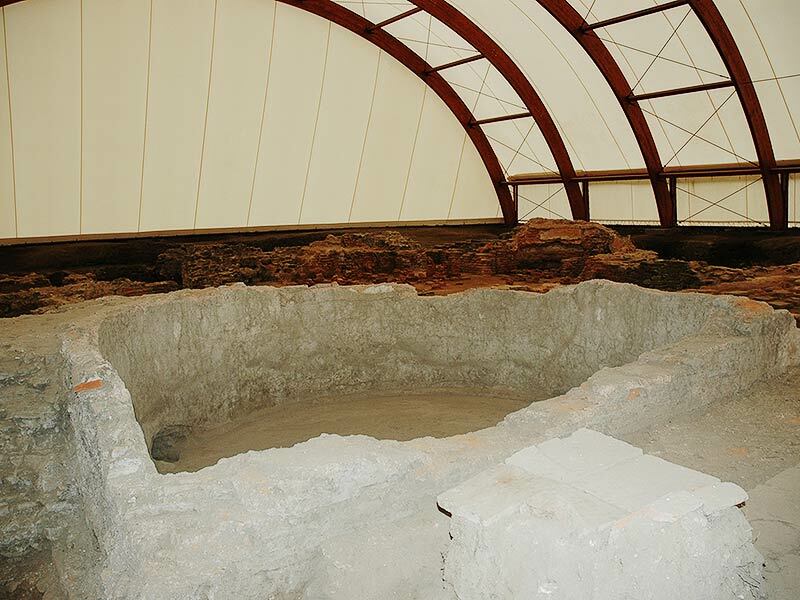 They served not only for personal hygiene, but also for relaxation and various social activities. 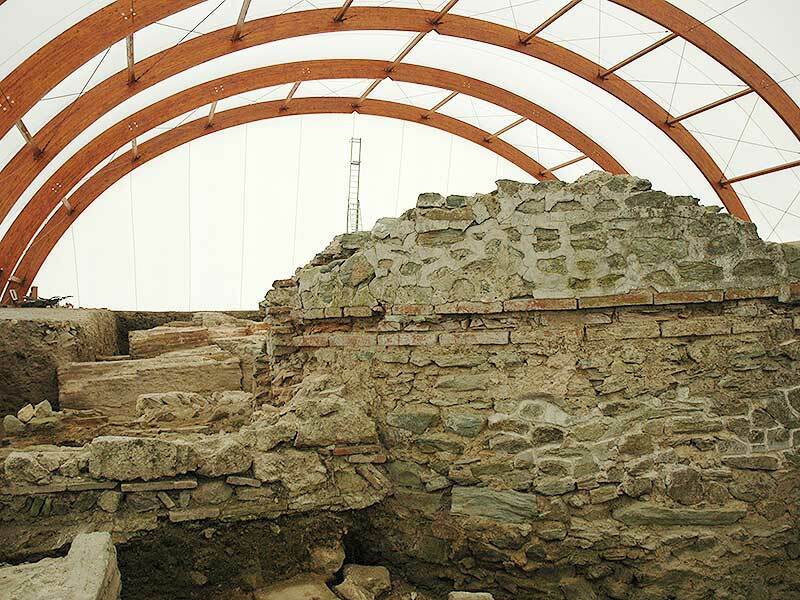 Their architectural form varied from town to town. 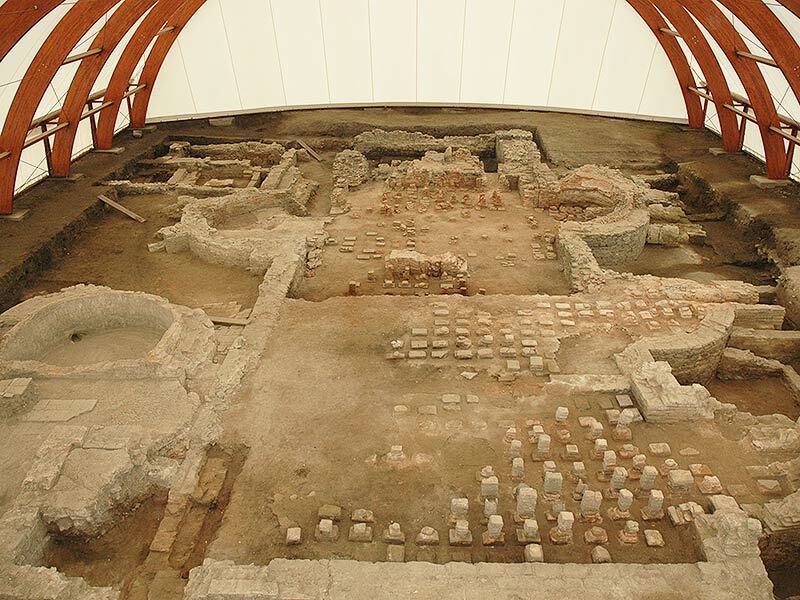 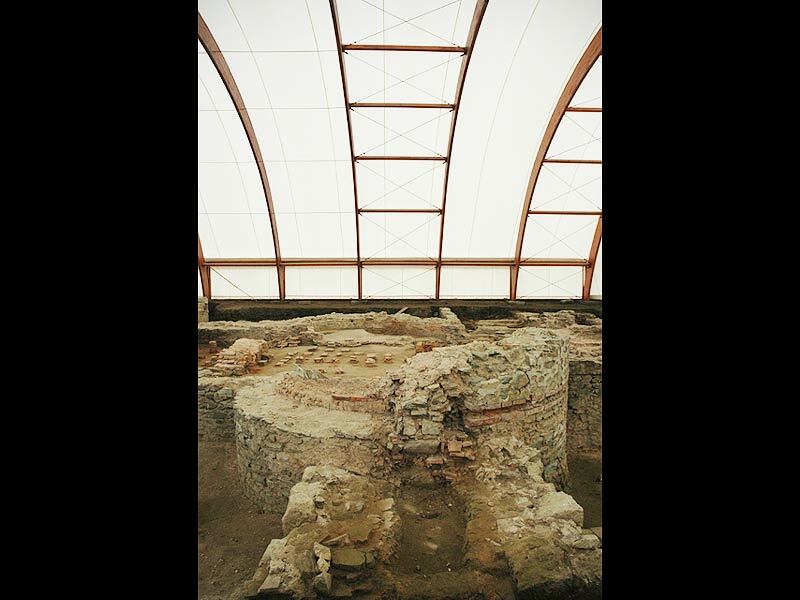 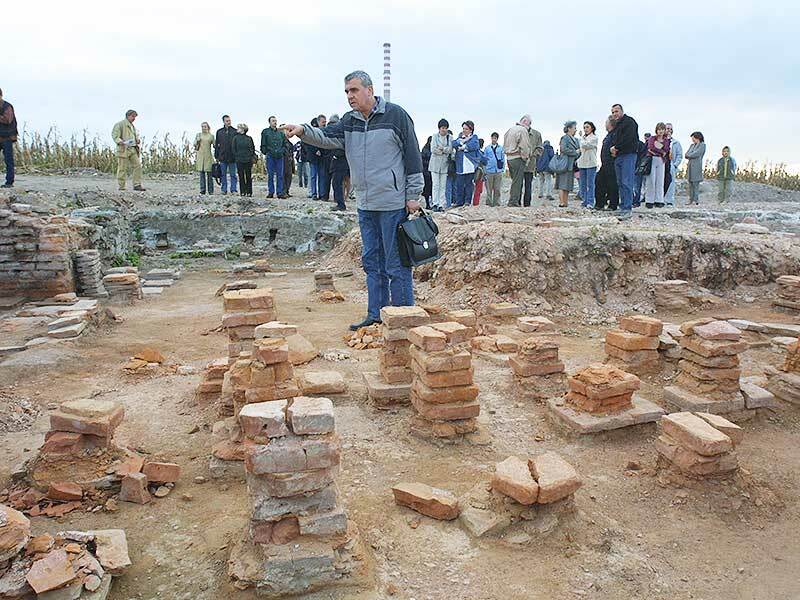 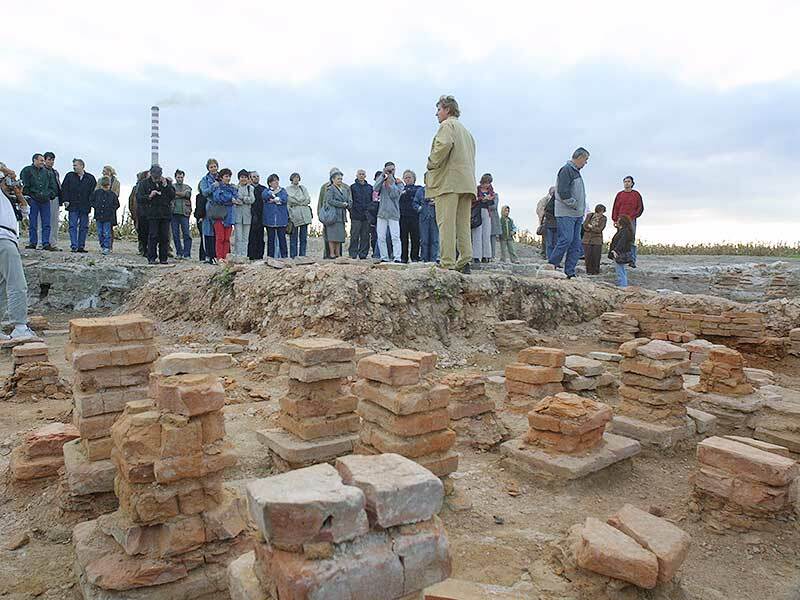 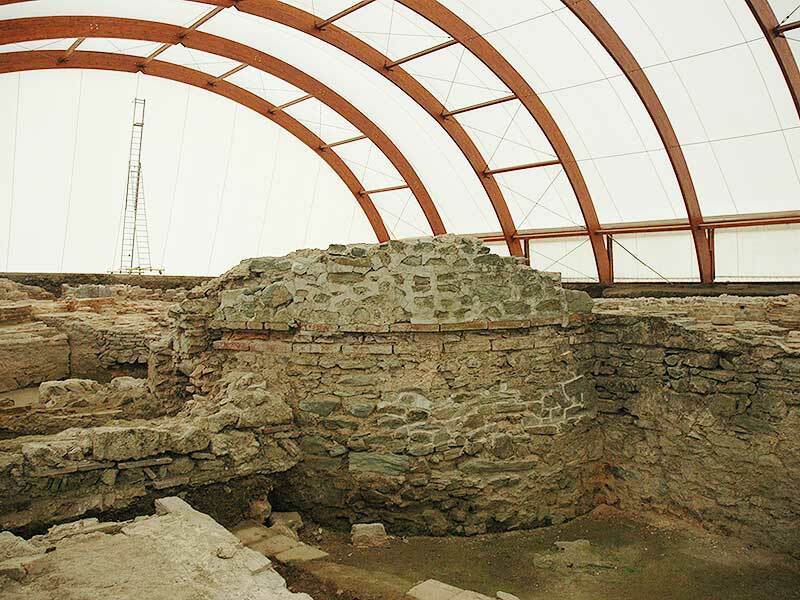 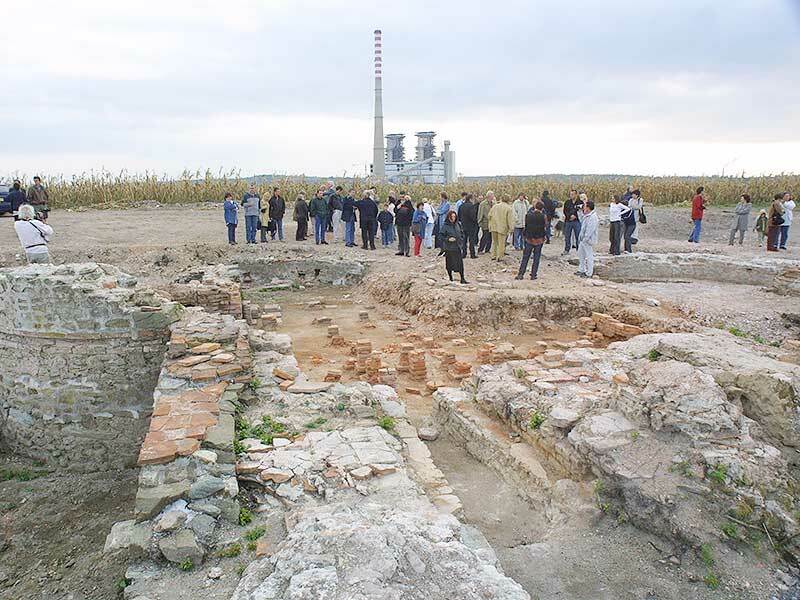 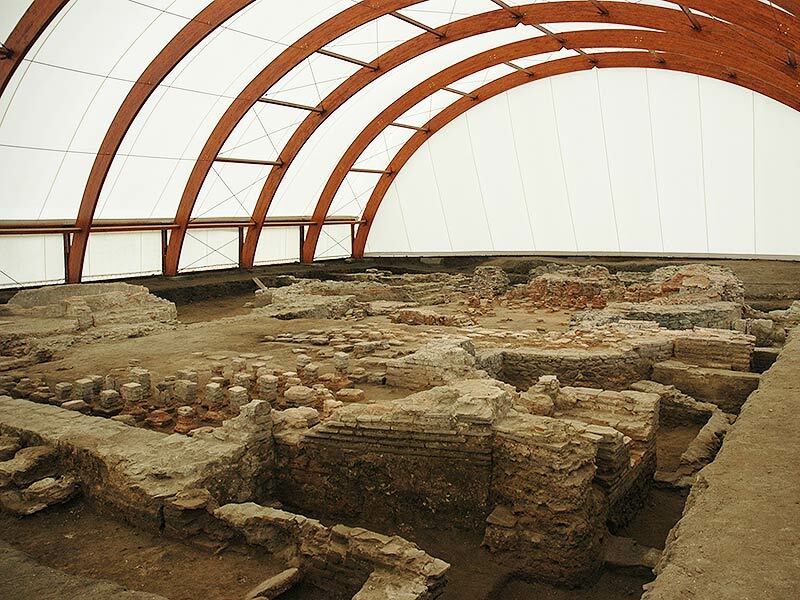 The baths of Viminacium are distinguished not only by their luxury but also by their architectural design. 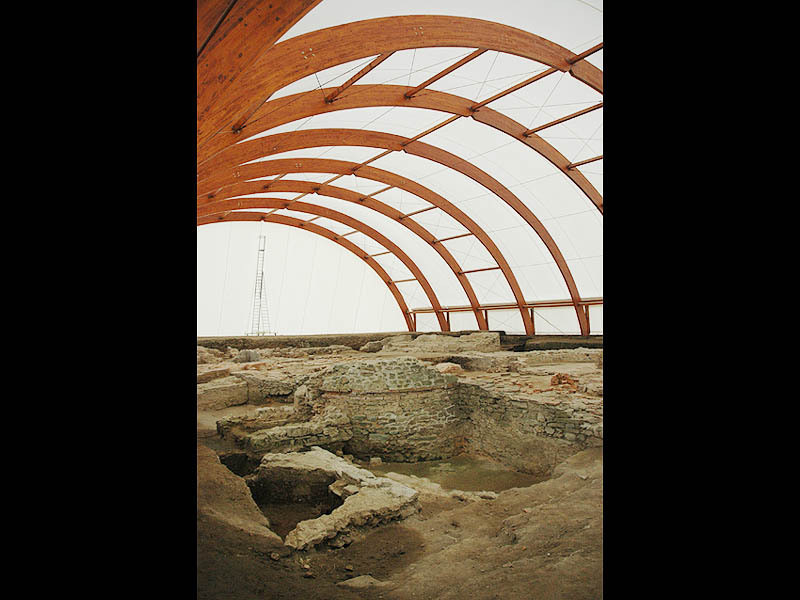 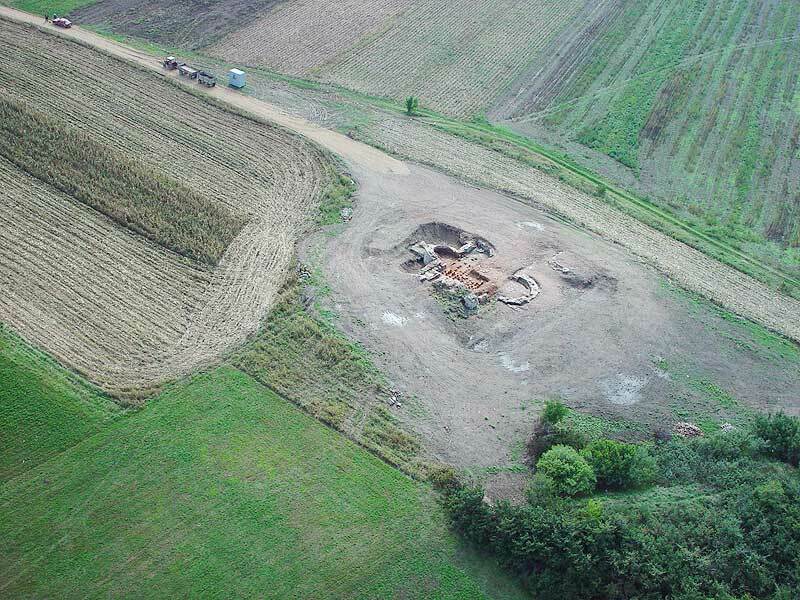 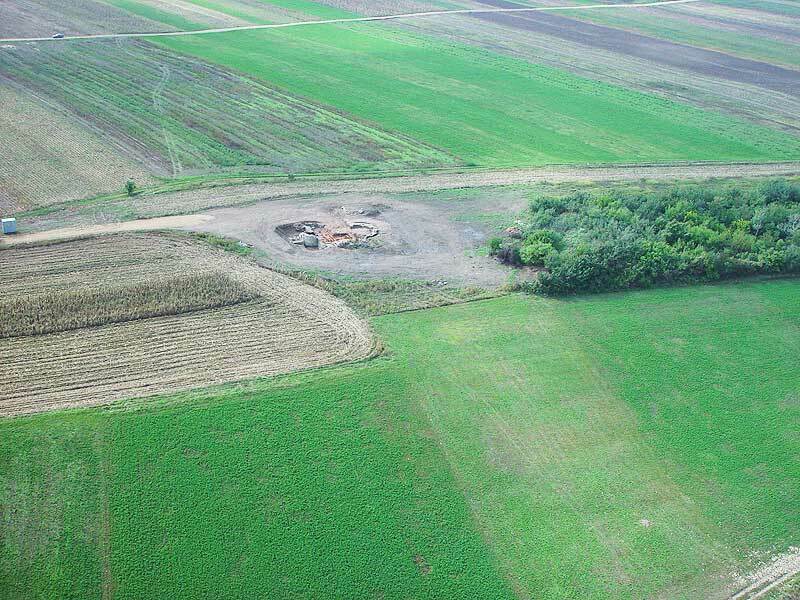 The long period during which they remained in use (1st-4th century) makes it possible to trace the individual stages in their construction. 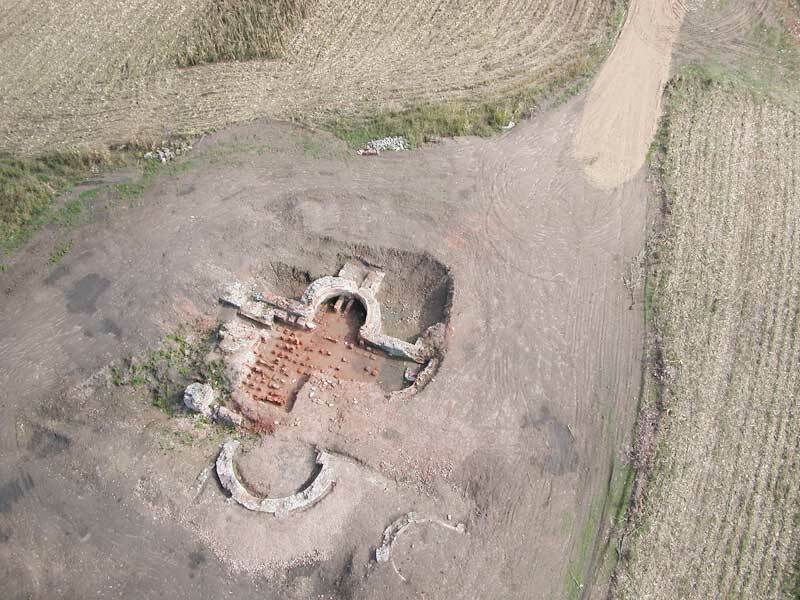 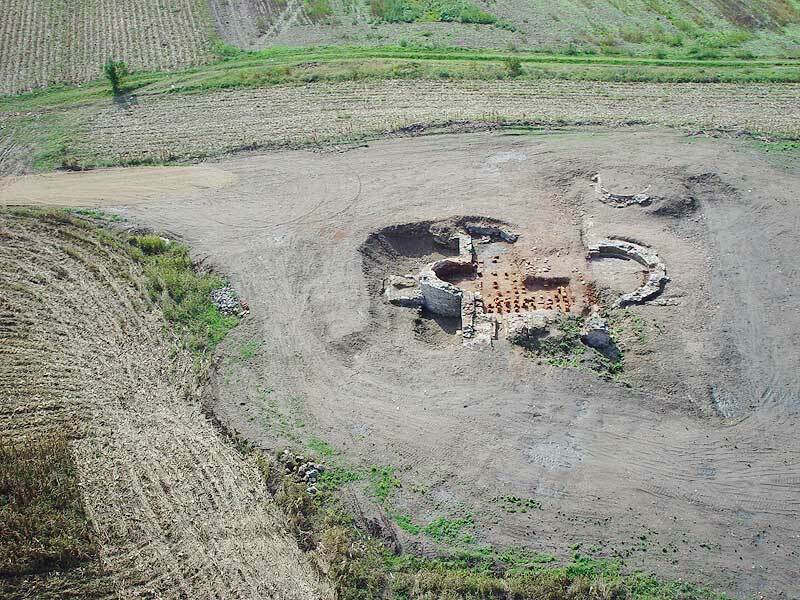 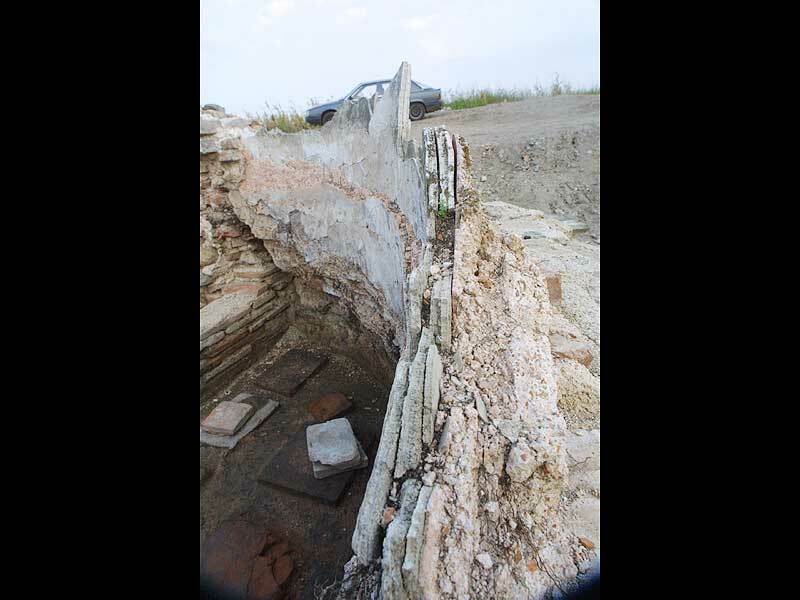 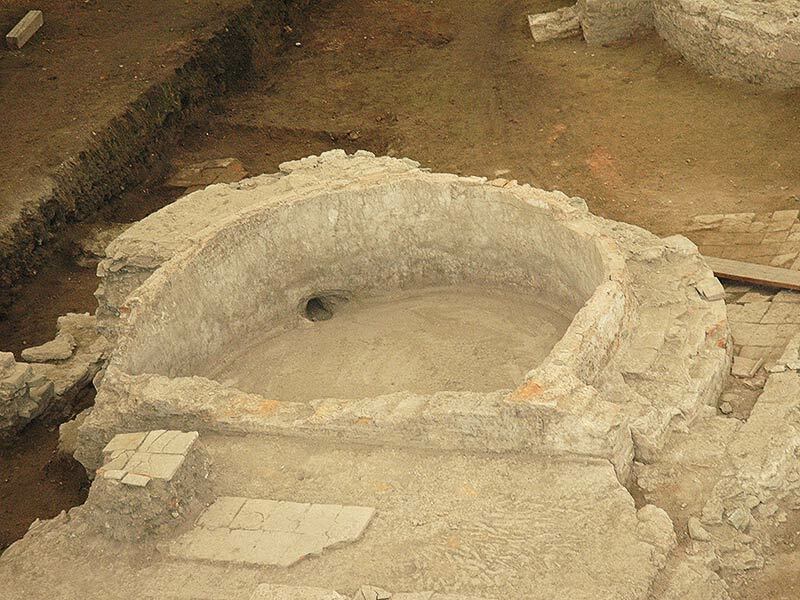 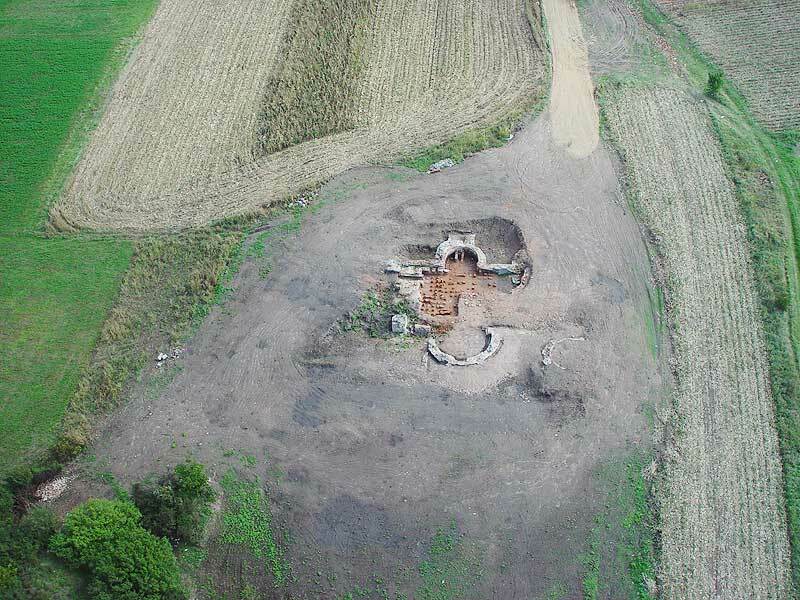 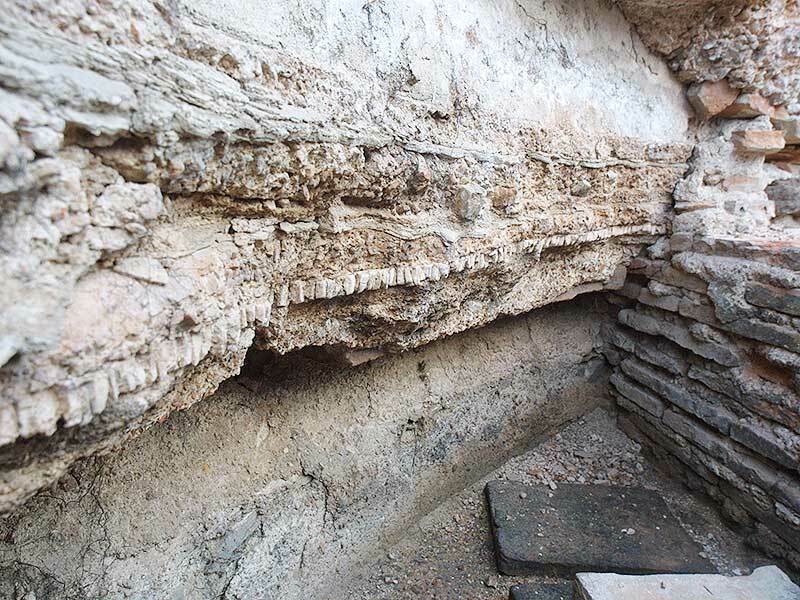 The archaeological explorations have shown that there were five conchs, four of which were the so-called tepidaria (warm rooms) and the fifth one was afrigidarium (cold room). 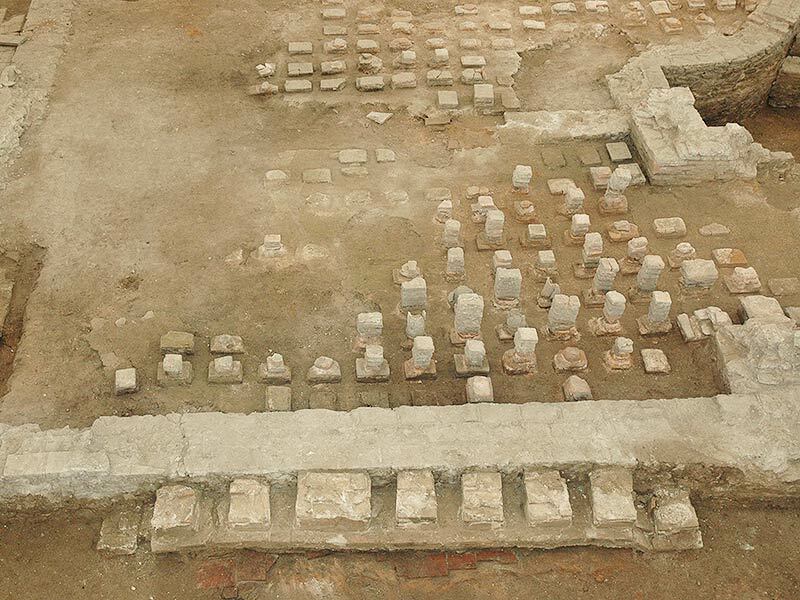 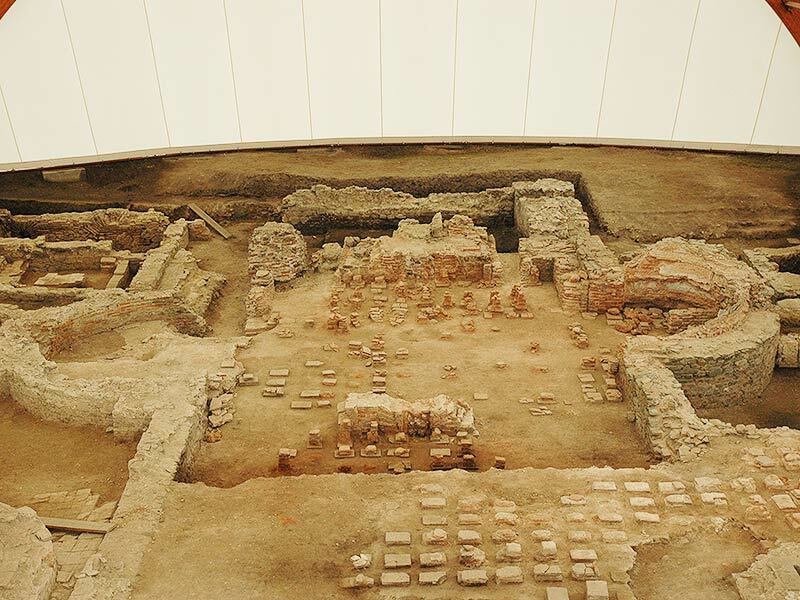 The baths have been preserved to the level of the hypocaust, which shows evidence of several stages of construction. 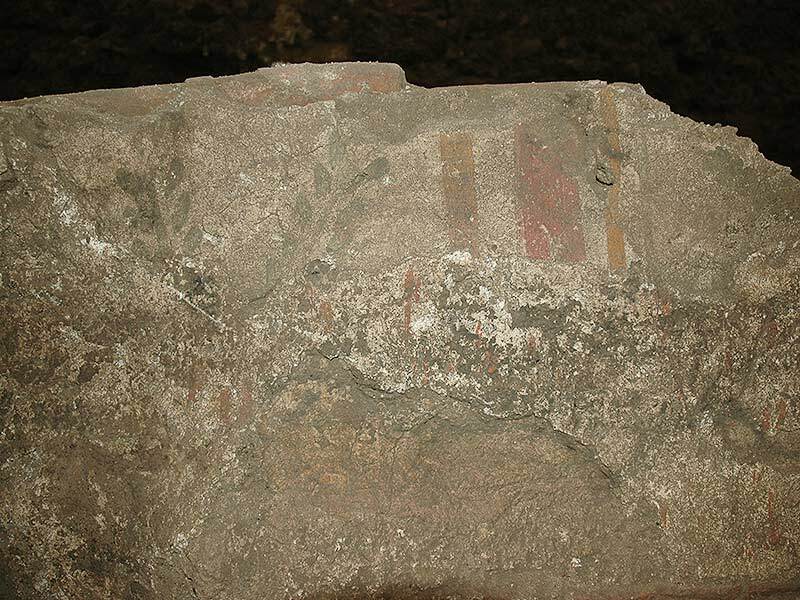 The remains of fresco paintings testify to the luxury of the establishment. 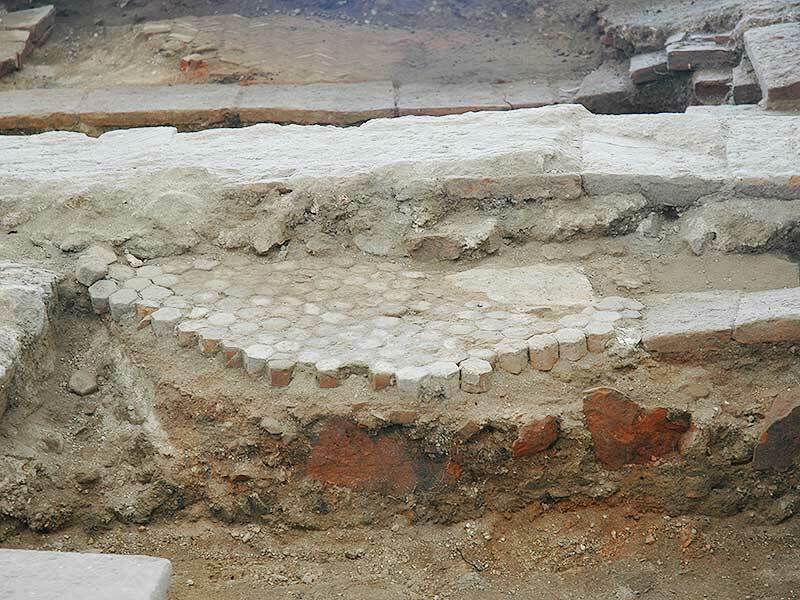 The floor of the earlier baths, which rested on short brick-built pillars, was covered with a mosaic. 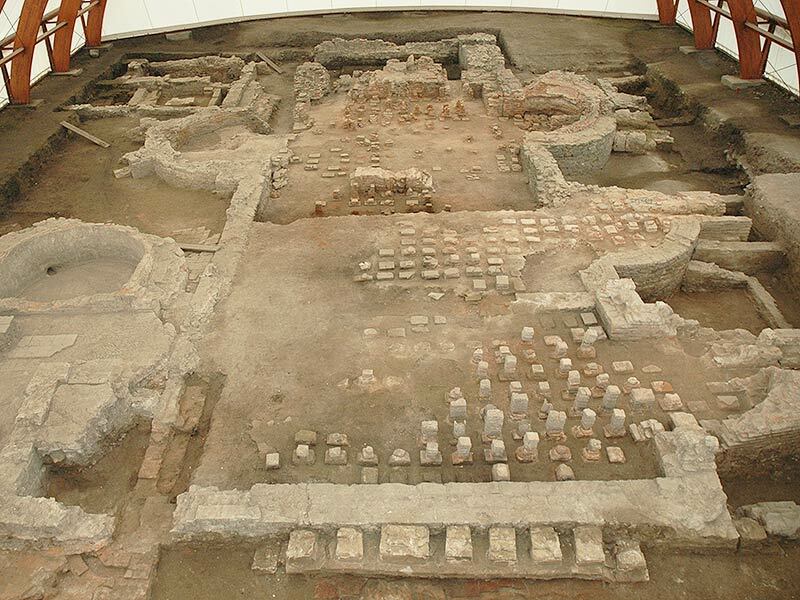 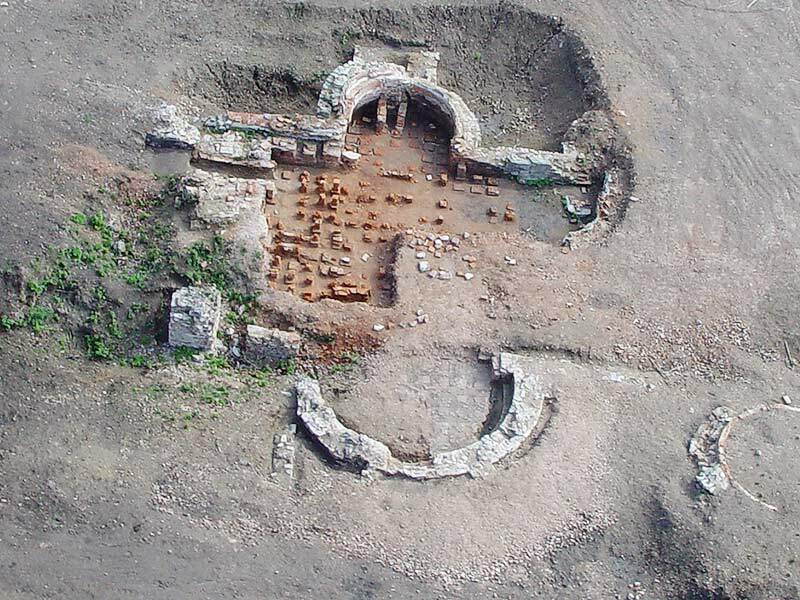 The large number of oil lamps found on the premises shows that the baths were used also at night.